Security Service of Ukraine (SSU) counterintelligence group captured a terrorists from so called “Lugansk People Republic” (LPR) who were planning attacks in Odessa during Parliament elections in Ukraine. The man who is 21 years old is Ukrainian citizen was a member of terrorist group of “LPR”. The task of the saboteur group was to prepare and fulfill attacks in Odessa and city suburbs before the elections to Ukrainian Parliament. Part of the group were terrorists who were taking part in rallies in Odessa on May 2 2014, they had experience in using weapon, had skills in subversive activities, they knew how to work with explosives. 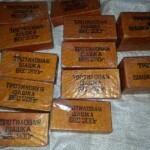 The arrested man has confessed that before who was accepted to the terrorist group he has been trained in a camp located on the territory of Russian Federation, in Rostov Region, and he was taking part in military activities of other terrorist group that was part of “LPR”. 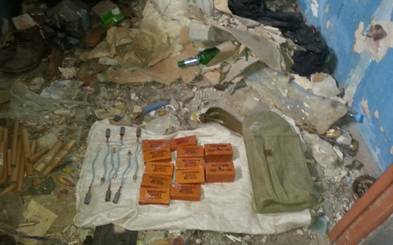 The main task of arrested terrorist was to supply the saboteur group with weapon and explosives that he was transporting from the areas controlled by pro-Russian terrorists to the areas where the attacks were going to take place. 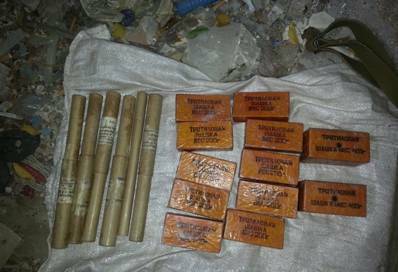 On October 22 SSU counterintelligence has arrested this terrorists when he was transporting ammunition on a passengers train from Lugansk to Odessa, there were RPG-22 (anti-tank rocket launcher), grenades RDG-5, F-1 and a lot of bullets for AK machine gun. This event has also been reported by OSCE Special Monitoring mission at their website yesterday, you can read the report here. 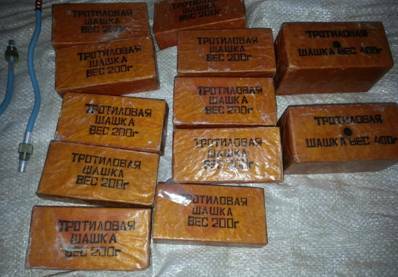 In Odessa the police chief at the main railway station informed the SMM that officers found a bag containing 2 grenades, explosives and one RPG in one of the wagons of a passenger train coming from Luhansk on 22 October. The interlocutor expressed strong concerns about the case, as it was the first time explosives were found on a passenger train. The question is why OSCE SMM is publishing information about secret operation of SSU? The leaders of terrorist group who are in Lugansk can easily read OSCE report and find out that their agent was captured in Odessa as OSCE report was published yesterday. And 2 other members of the group were only arrested today!